It’s tough. Reminders are everywhere: backpacks, school supplies, even specials at the grocery store, lineups of kids. We hope the ideas below will help make back to school a little less painful or maybe just a little less of a blind-sided trigger. Share your grief with your spouse, friends, family, support group or counselor. Talking about how you are feeling should lighten the weight of the loss you carry in your heart. It may not ease the pain completely, but it provides that chance to not feel alone in our grief. Allow yourself some extra time and kindness during this time of the year. What does that look like for you? Is it adding social time to your schedule or making sure you have time alone? You know you best, so do what feels right. We encourage moms to embrace grief so it can move through them, but sometimes you simply don’t have it in you to cope. Don’t go to Staples at this time of year, but order online. Take your usual walk after the kids are already in class so that you are not surrounded by kids going back to school. How can you plan ahead to minimize grief triggers? If you must take your other children to school, plan ahead. Know where you are going, maybe even check it out a day or two ahead of time. This may reduce the stress of first-day drop-off, but also allow you to know how you can leave quickly if you feel your grief welling up. If your children are returning to school in September, but their sibling is not, it may be helpful to share your story with the school and teacher before school starts. This may provide your child at school with support throughout the school year. Many of us who visit the cemetery often talk to our child who has died. Sometimes the things in our hearts are only meant for the one we have lost or we don’t wish to share them with another person. Saying out loud what we’re feeling or coping with can help soften the pain and help release emotions or anxiety. We know that this time of year is difficult because we have lived it. 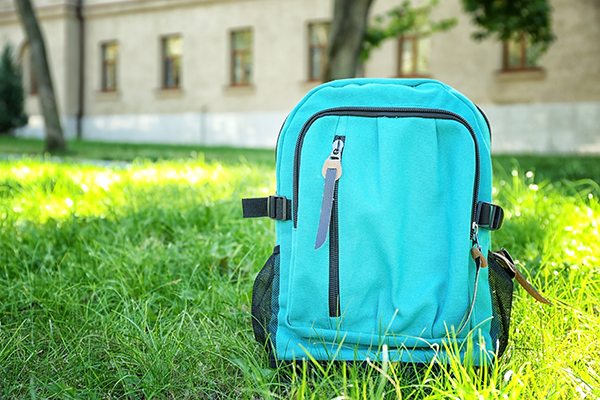 These are just a few ideas that may ease the challenges and pain of back to school. Is there anything else you would add? Please leave us a note in the comments section below.